The first edition of this unique food show in India was a true success. "We have far exceeded our expectations,’’ says Nicolas Trentesaux, SIAL Network Director. 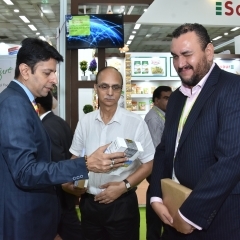 From 16 to 18 September 2018, Food India by SIAL welcomed more than 5,000 visitors coming from various backgrounds (importers, wholesalers, exporters, retailers, diplomats, policy makers…), sectors (Cash & Carry, Food service, E-commerce, Retail & Hospitality, Duty free, Supermarkets etc.) and from all over India, not only from New Delhi region! 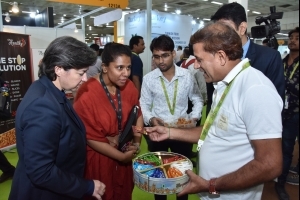 At the Pragati Maidan Exhibition Center, the fair attracted more than 150 exhibitors from 13 countries — China, France, India, Indonesia, Italy, Portugal, Russia, South Korea, Spain, Switzerland, Turkey, UK, USA. Another indication of this success was the Hosted Buyer Program (thanks to our strong partnership with FIFI, the Federation of Indian Food Importers and MSME – Ministry of Micro, Small and Medium, Enterprises), which resulted in more than 1,000 meetings with exhibiting companies throughout the three days of the fair! Why SIAL India? India is the next Eldorado for the agrifood sector, as the country is to become the world number one market ahead of China. A burgeoning middle class of 300 million people, one of the fastest-growing economy in the world (+7.6% per year), 1.3 million consumers, modern-trade penetration is expected to grow rapidly over the next 5 years… India is a blooming country full of opportunities and SIAL India is the ideal platform to run into this great adventure. 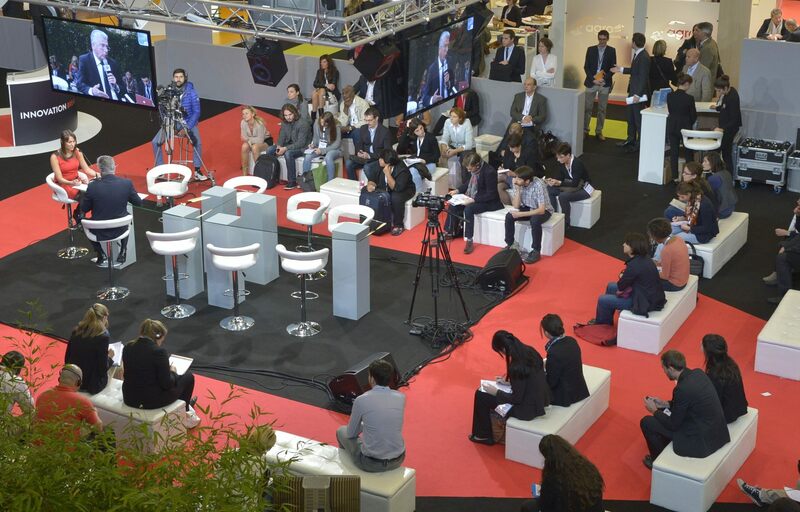 As part the world number one network of food innovation, our fair offers every professional the best path to the Indian way of food innovation, with key events in the event, such as Food India Innovation, Alternative Food Forum, and Wine & SpiritEvents. Thanks to SIAL India, the Planet Food is your oyster!